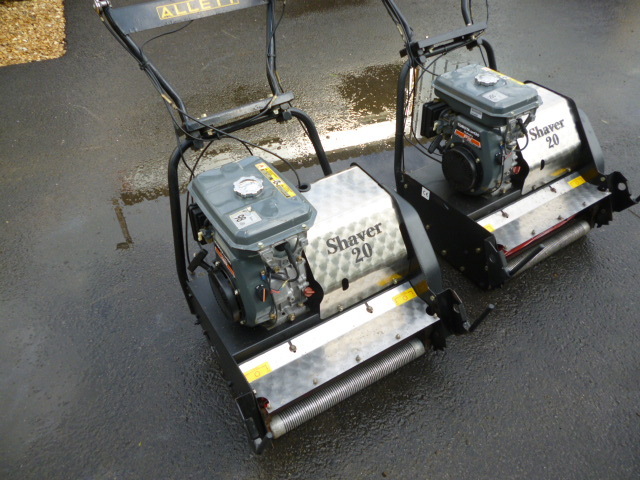 Brief Description: ***WE HAVE 2X IN STOCK*** ALLETT BOWLING GREEN MOWER SHAVER BLADE. BOTH SERVICED. PETROL ENGINE. GRASS BOX CATCHER. More Information: A precision close-cut mower suitable for all finer turf surfaces. The Allett Shaver 20 cylinder lawn mower is a beautifully-balanced fine-turf mower is a great choice for cricket, bowls and golf clubs requiring a precision-cut cylinder mower that is easy to use, simple to maintain and a delight to operate. 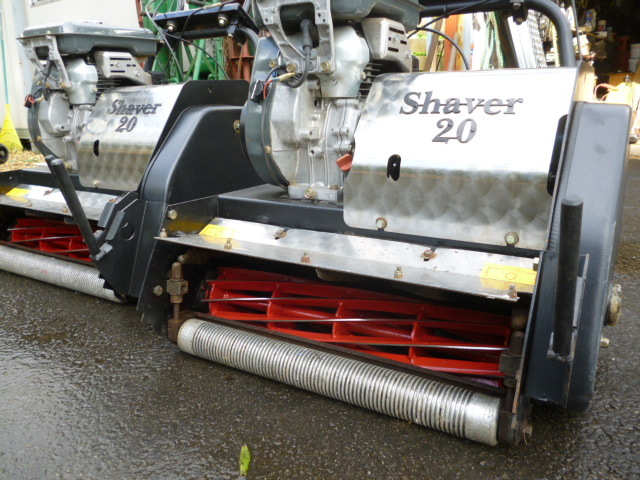 These attributes make the Shaver ideal also for all other users wanting a close-cut mower capable of producing a first-class finish on quality sports, leisure and ornamental grass. 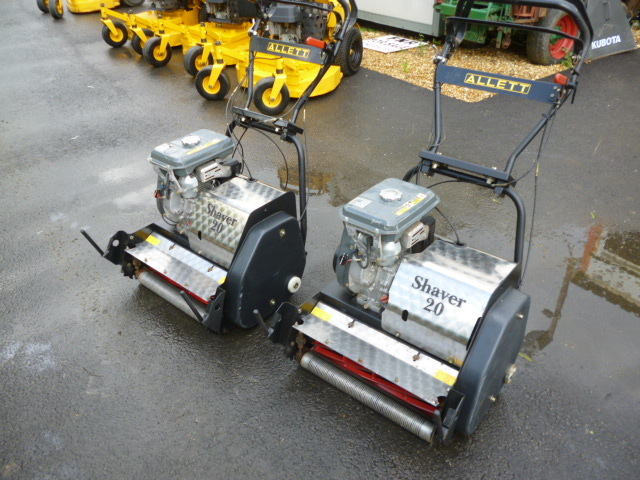 Available in 510mm (20in) and 610mm (24in) cutting widths, the Allett Shaver turf mower has independent hand lever-operated clutches for the cutting cylinder and rear roller drive ensuring smooth, positive control at all times. The Allett Shaver 20 is also fitted as standard is Allett's micrometer-type quick cutting height adjuster, enabling fast and easy setting of height of cut across a range from 2.4mm to 19mm. 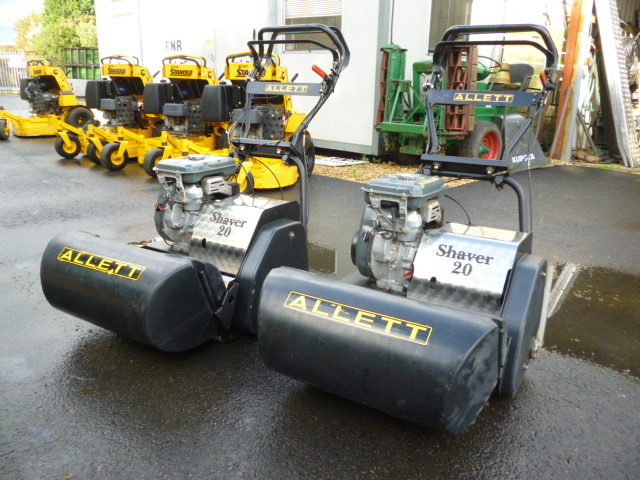 The Allett Shaver 20 has a two-position front roller. 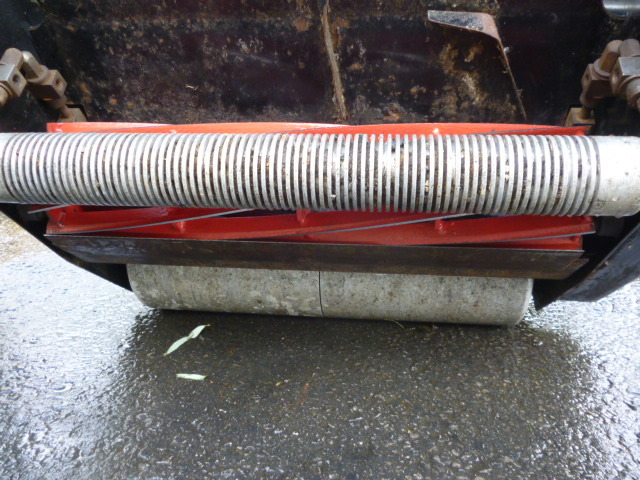 With the roller in its forward position, a static turf brush can be mounted in between the roller and cutting cylinder. Moving the front roller rearwards closer to the cylinder reduces the distance between the front and rear rollers, enhancing the mower's contour-following abilities. Simple to set and to use, the Allett Shaver 20 pedestrian cylinder mower is ideal for regular cutting of cricket wickets, bowling and golf greens and other areas of fine turf requiring a close, even finish. Hand lever controlled independent clutches for the cutting cylinder and the rear roller ensure smooth and easy operation at all times while enhancing turning of the mower at the end of a run. 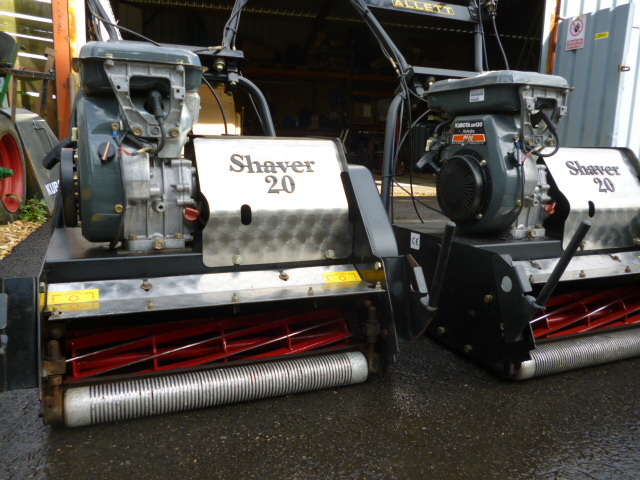 Beautifully balanced without carrying excess weight, the Shaver has a two- position front roller enabling an optional static turf-grooming brush to be fitted in between the roller and cutting cylinder. Alternatively, the front roller can be moved rearwards closer to the cutting cylinder to enhance contour-following over undulating or uneven turf.